USA Baseball announced back in late 2015, that there would be new youth baseball bat regulations going into effect in 2018. With the change right around the corner, we thought you may need a reminder heading into the 2017 season. We want you to be prepared for the rule change and make an informed decision on your next bat purchase, so here we’ve answered the USA Baseball Bat Standard FAQs. USA Baseball and its national member organizations have developed and adopted a new standard method for testing the performance of youth bats. The USA Baseball bat standard (USABat) bats will perform similar to how a wood bat performs. Like BBCOR certification has done for the -3 weight/length ratio at the NFHS and NCAA levels, the USABat certification will be the standard certification for bats with larger drop ratios (-5, -7, -9, etc.). Bats throughout the full spectrum of weight/length drop ratios will now be wood-like in performance. In addition, participating member organizations will now allow the use of 2 1/4 barrel AND 2 5/8 barrel bats, as long as they are USABat stamped and certified. This means that the commonly used BPF 1.15 bats that are currently approved in these member organizations WILL NOT be allowed for use in 2018. If you’re in the market for a USA Baseball bat, be sure to check out our recommendations for this year’s top rated bats here! HOW do we buy USABat bats? Many manufacturers have now released USA Baseball approved bats that are available for purchase. There are many models and price ranges to choose from at this time, however, it may be wise to act fast. There is certain to be a rush of orders as the 2018 season approaches, which may limit supply! You can browse the selection of USA Bats on sale at Amazon below. Notice that there are selections available in both small barrel and big barrel. The prices range from under $50 all the way up to $300 plus. Many also include free shipping. With ever increasing technology, metal bat performance has continually improved throughout the years. In recent years, performance levels of youth bats could vary widely. This rule is to ensure a level playing field in bat performance among youth players in the leagues who adopt the rule. WHO is impacted by the change? The rule is effective January 1, 2018. All bats that are currently approved for the aforementioned organizations are legal for use until December 31, 2017. After January 1, all bats must carry the USABats logo and certification. Bats without the logo will no longer be allowed. Does this impact middle school, high school, or college players? This rule does not affect leagues and age groups that currently require the use of BBCOR certified bats. 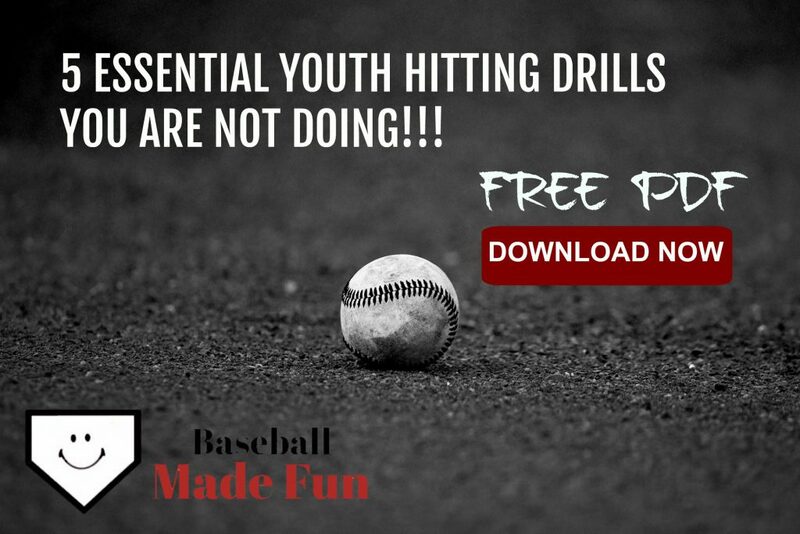 College, high school, and some middle school baseball players will not need to make a change. *If your middle school does not require BBCOR certification, you should consult with your coaches about how this new bat rule may affect you. DON’T PAY FULL PRICE ON YOUR NEXT BAT PURCHASE!!! Visit www.baseballplusstore.com and save 10% on any bat, including 2018 models using the coupon code “MAP10“! Yes the baseball leagues have to ensure that the bats that the youth use are safe and keep everything fair. Thanks for the update. Do you think the type of bat is that important performance. Or is that mostly up to the skill of the player? I mean I would think that hitting a baseball is a really hard thing to do in these leagues no matter what bat they have. You are correct. Hitting a baseball is one of the most difficult tasks in all of sports. The performance factor testing is done by locking the bat in a stationary position, then shooting a ball at it. The technicians then determine how much of a speed increase the ball had after hitting the bat. So a higher performing bat wouldn’t help a hitter hit the ball, but would help the ball go further once it was hit. MY 13 YEAR OLD HAS USED 2 EASTON BATS. (NEW RULES). BOTH HAVE DENTS. THEY WE’RE BOTH BARELY USED. PRODUCT TO A UNSUSPECTING CONSUMER.?? Hi Ryan, great article, good to know info. One question. My son is going to try out for his middle school(7th grade) team, plus he has been playing for many years in our town league in Gates, New York(I think AAU, 8U or 9U). Does this mean that his school league will not have a change, but the town league will? I am a bit fuzzy with all this baseball stuff lol. I have not heard of any changes until reading this article. Thanks for the information, you have a cool site. Thank you, Eric! That’s a great question. 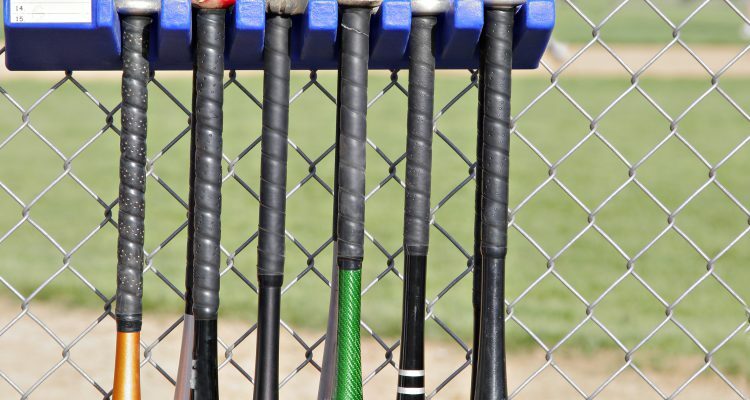 In most cases (here in Indiana anyway) middle school teams are using BBCOR certified bats. If that is the case for your son’s 7th grade team, then he will need a bat that is a -3 ratio (32 in/ 29 oz, 31 in/ 28 oz, etc.) and has the BBCOR stamp on it. On the AAU side of things, he may be required to use a new USABat or a BBCOR depending on his age during the 2018 playing season. I have talked to several middle school players who have had to use different bats during the school season and summer season. I’d definitely reach out to both his school and town coaches to confirm before you make a purchase. Ok,so for those if you that are stupid enough to believe this about anything other than money you need to do some research, the major bat companies are in bed with these organizations that govern the regulations & give them kickbacks , USA said it’s for the “Integrity of the game” it’s to sell more bats period ! People have to confirm & buy new bats so their kid can play baseball, Shame on you Easton ! I honestly don’t think selling more bats is a factor in this change. The major bat companies are doing just fine, and they would only see an uptick in sales for this one year. Once 2018 is over, it would be back to normal sales volumes. Developing the technology to conform to the standards seems like an awful lot of trouble to go through just to sell more bats for one year. In actuality, the bat companies were concerned that the announcement would hurt their 2017 sales, considering people already knew they needed to purchase one in 2018. There are 2 very big holes in your justification of the USA bat standard not being about money. First this doesn’t level any playing field. Practice, good coaching and determination level the field. If it were true about having all thing equal then youth bats wouldn’t be $300+ and all bats would be made of wood. And this would definitely increase sales in future years being that these USA bats are about $70 -$100 more than the 2017 bats that had “more pop”. What company wouldn’t want a major bump in sales even for 1 year. Example Equation – $350/bat x 100(kids in a league) x 50(1 league/state)=$1,750,000. And this is a super low example because there are more than 1 league in most states, and 100 kids in a league is low. California alone would cover this example equation. So until Easton,Rawlings, Mizuno and Wilson sell these “level” playing field bats for less than $100 or only wood bats are allowed this is about the money. And when composite bat technology first came out I believe one of the pitch lines was the playing field has been leveled. New line should be “youth baseball you gotta pay to play”. I agree, middle school baseball adds another element. Making 7th & 8th graders swing -3 BBCOR bats seems ridiculous to me. The average 13 year old is not strong enough to swing that much weight. Fact it’s about the money!!! If the parents would just have 2 bats for each team to use in the league you would stop most of this or the parents start their own league. Just wondering if the baseball government is going to start telling MY kid when to go to the bathroom? That’s a great idea for a team to purchase a couple bats for all players to use. Have you suggested that to your son’s team or league? I’d like to know what their thoughts are on that. I have a family friend who’s kids play baseball, and I will make sure that they take a look at your article. I think it’s great how USA Baseball is trying to create a level playing ground for all the youngsters out there. The game is suppose to be fun at that age and most youngsters are encourage to get out of the house and get a little exercise. Has something like this ever happened in the major leagues? Hi Chris, really appreciate you sharing the article. Hope your friend finds it useful. Major League Baseball has a few rules regarding bats, the big one being that a bat must be one solid piece of wood. This prevents manufacturers from being able to enhance the performance of a single bat over another. I’d say the only caveat in that is that they are able to use different types of wood, i.e. maple, ash, etc. But I believe if one type of wood performed much better than the others, it would most likely end up being banned. I understand the logic in going to a bat that is comparable to wooden bats. Kids are stronger and bigger these days than in the past it seems. I understand how aluminum bats can make it hard for fielders and especially pitchers to react to a line drive that is hit back at them. The new USA bats are available in the fall of 2017 so for some people it may make more sense to purchase a new bat in the fall so they can use the bat for 2018 and beyond. Do you know if there is going to be much of a difference in price for these new USA bats? Great question Chad. The jury is still out on pricing. I haven’t been able to find much information out there from manufacturers. My guess, based on what happened when high school and college baseball went to BBCOR certification in 2012, is that the bats will be similar in price as current models. However, one issue with pricing next year will be that you will not be able to save money by buying previous years’ models since they will no longer be legal for use. So you’ll have to bite the bullet and buy a new, full priced USABat. Any updated information on projections of cost impact to customer and price points for the new USA Standard bats? Darrell, I have not found any updated info on pricing, however it does appear that there is information being released from manufacturers about the models they will offer with the USABat certification. Here is an article I found that has updated info. http://www.justbatreviews.com/usabats/ I’m assuming the part about the bats being available in September 2018 is a typo. Everything I’ve heard and seen points to them being available around September of 2017. Hi question? My son was in need of a new bat so I waited until the USA bats came out. Just bought him his new bat and now we are starting fall ball and the league says we can’t use his new bat until 2018 this does not make any sense to me. You would think they would want him to use his new bat during fall ball to be ready for spring. Is there anything I can look up to show the league to allow my son to use his new bat. That does seem like a silly thing for the league to do. Is it an in house fall league, or do you compete against other organizations? If your son will be competing against teams from other organizations I can see how they may not want to deal with any rule book questions that may be brought up by other coaches or league officials about the bat. If it is in house, what’s the big deal? The bat will not give your son a competitive edge over other bats being used. In fact, the old bats may give players an advantage. Sounds like they really like doing things “by the book.” If you have only spoken to one league representative, maybe try bringing it up with someone else. I have yet to see any language about use of the USA Baseball bats prior to January 1, but I will keep looking. Were you able to find anything out about the new bats being allowed for Fall Ball in Little League? My son used his at our last game but I ran it by the coach of the other team and he was fine with it. I honestly don’t want to have to do this before each game and feel that most coaches will be fine with it but there is always that one coach that will give us a hard time. It will be easier if I have any documentation that approves it but I have looked all over the internet and haven’t found anything either allowing it or disallowing it. Any help or insight is greatly appreciated. Thanks. Hope you can find some clarification there. It’s crazy how little information the affected leagues are providing on this bat rule change. I work with a lot of players in our local Little League and most of the parents are still in the dark on this change. Will Little League allow the 2 5/8 bat for the 2018 season or are they still going to just use 2 1/4 for the new USA bats? Yes, Little League will allow 2 5/8 barrel bats beginning in the 2018 season, as long as they carry the USA Baseball marking. Should a younger child be using a 2 5/8 barrel bat? Will using a big barrel bat hurt his development as a hitter? That’s a great question Jeff. In addition to the 2 5/8 big barrels, there are the traditional small barrel youth bats that have 2 1/4 inch barrels, but there are also 2 1/2 inch big barrel youth bats. I think you should weigh the pros and cons before you decide. A big barrel may have a bit more mass at the end, which means the ball may carry a few more feet off them. The larger barrel means more surface area to square up the ball. However, it also means that it will be more difficult for the child to control the bat. They may be forced into some bad habits if their bodies are not developed enough to swing a certain bat. It sounds like you’re more of a long-term thinker, with the child’s development in mind (good for you). So maybe a 2 1/4 or even 2 1/2 would be a better choice. I’m a big believer in smaller and lighter bats for kids. Confused…. if the USA bats are all the same to protect the integrity of youth baseball, then why so much difference in price? If baseball’s governing body wants all bats to perform exactly the same to save the game, all bats should perform equally and thus the $40 bat equal to the $300 USA bat…… something stinks…. Performance standards simply cover the speed that the ball exits that bat. They do not cover other factors like durability, or features like a two-piece bat, or a handle that turns. There are several factors that effect price besides how the ball comes off the bat. This is an awesome suggestion. Thanks for it. Glad you like it! Happy to help.